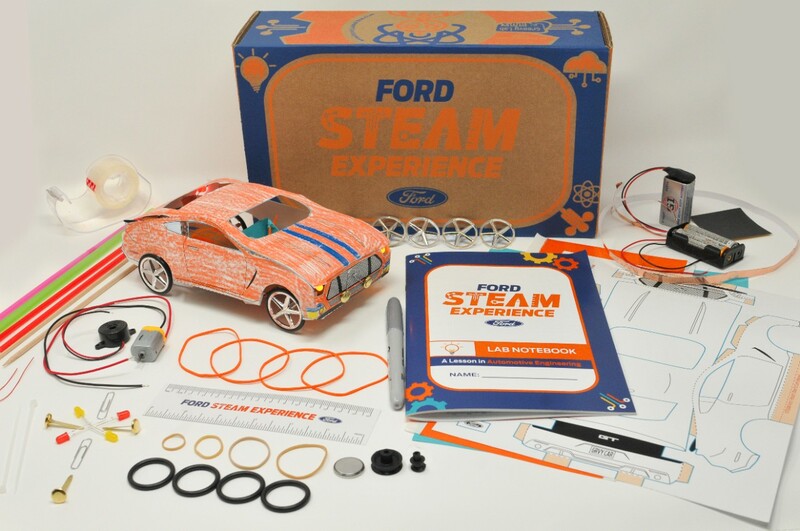 As part of Ford Motor Company’s commitment to STEAM education, the company is teaming up with Academics in a Box – designers of the award-winning Groovy Lab in a Box product line – to deliver an education kit right to a student’s doorstep. The box is designed to challenge kids to think like a Ford engineer, giving them the tools to build a prototype of a Mustang GT – to engage them in learning core STEAM principles. Ford is also expanding its work with Girl Scouts of the USA bringing the Ford Girls’ Fast Track Races to eight Girl Scout councils. With the school year back in full swing, Ford Motor Company is bringing science, technology, engineering, the arts, and math (STEAM) education to youth across the country with fun, and educational challenges delivered right to their doorsteps. Ford launched fordsteamexperience.com as a way to showcase many of the education-focused programs it offers. The company’s newest one is a collaboration with Academics in a Box, designers of Groovy Lab in a Box, an award-winning educational kit line designed for children ages 8 and up interested in learning STEAM fields. The unique experience is delivered right to their homes at no cost when they sign up. 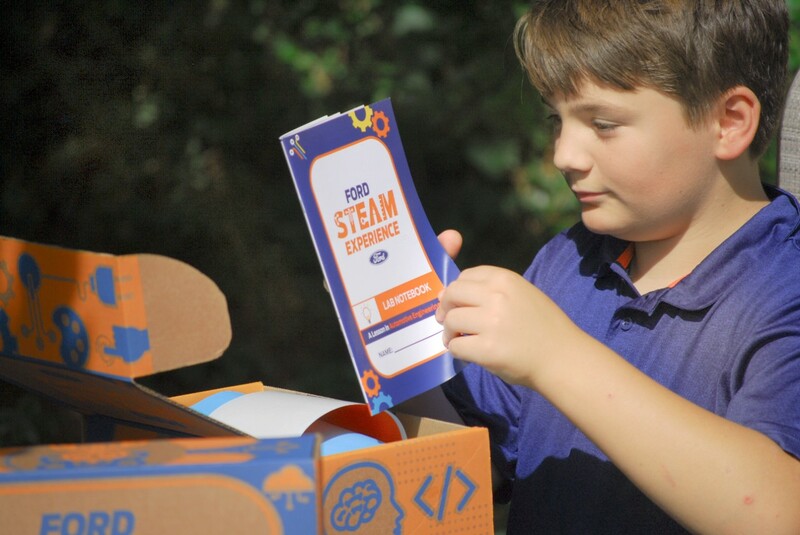 The Ford STEAM Box challenges youth to think like a Ford engineer. The box includes a number of activities – designing a vehicle frame out of origami and kirigami modeling, working with copper tape which conducts electricity to create a working motor, and creating headlights and taillights using LED lighting – all adding up to a complete prototype of a Ford Mustang GT model. Lisa Sheth, a Ford engineer, says programs like Ford STEAM Box include activities designed to help the company engage and build relationships with parents, who are the best resources for encouraging and inspiring young kids. Elaine Hansen, co-founder of Academics in a Box, says Ford is the perfect partner to help them reach their goal – to expand their reach and enable more students the opportunity to have education delivered to their home. In addition to working with Academics in a Box, Ford is expanding its collaboration with Girl Scouts of the USA by bringing the Girls’ Fast Track Races experience to eight Girl Scout councils from four last year. The races will now reach hundreds of Brownies and Juniors from Girl Scout councils in Colorado, Florida, Georgia, Illinois, Indiana, Michigan, New Jersey, and Texas. 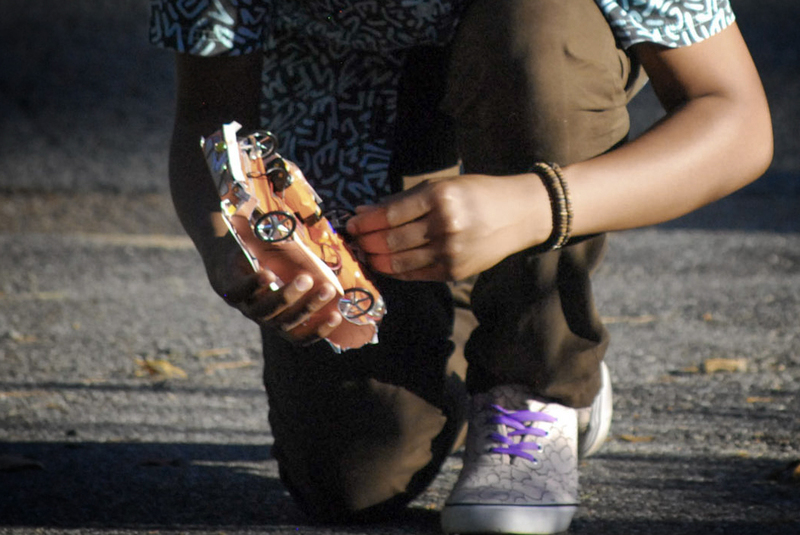 Girls’ Fast Track Races provide participants with hands-on experience with the concepts of engineering, design, aerodynamics, and weight distribution as girls build and compete with their very own wooden race cars. Sheth adds that Ford is deeply committed to rallying youth to get inspired about pursuing careers in high-tech fields. “We’re excited to bring Girls’ Fast Track Races to even more girls—giving them an engaging experience focused on teaching core STEAM principles,” she says. To learn more about how Girl Scouts transforms today’s girls into tomorrow’s leaders, visit www.girlscouts.org. For more than 30 years, Ford Motor Company has inspired young people to seek knowledge, be curious, solve problems and – like Henry Ford himself – make dreams of a better world come true. 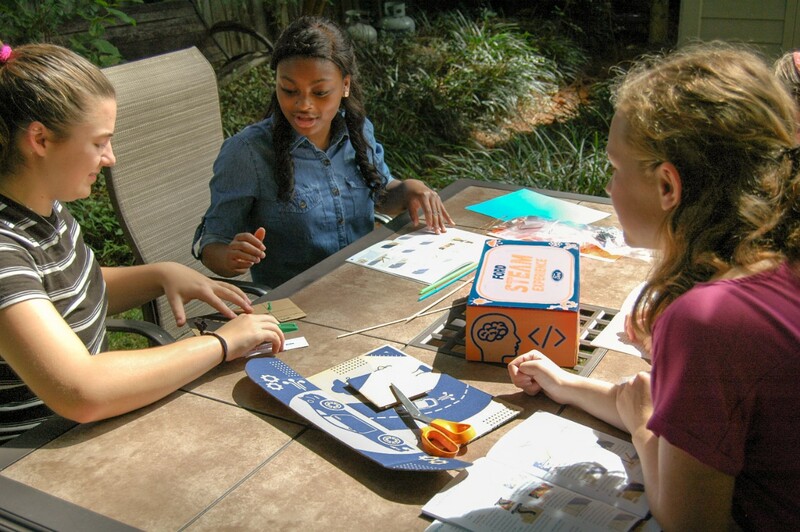 Working with organizations like Academics in a Box and Girl Scouts of the USA helps Ford deliver on its commitment to foster interest in science, technology, engineering, the arts and math among American youth. Find out more at fordsteamexperience.com.